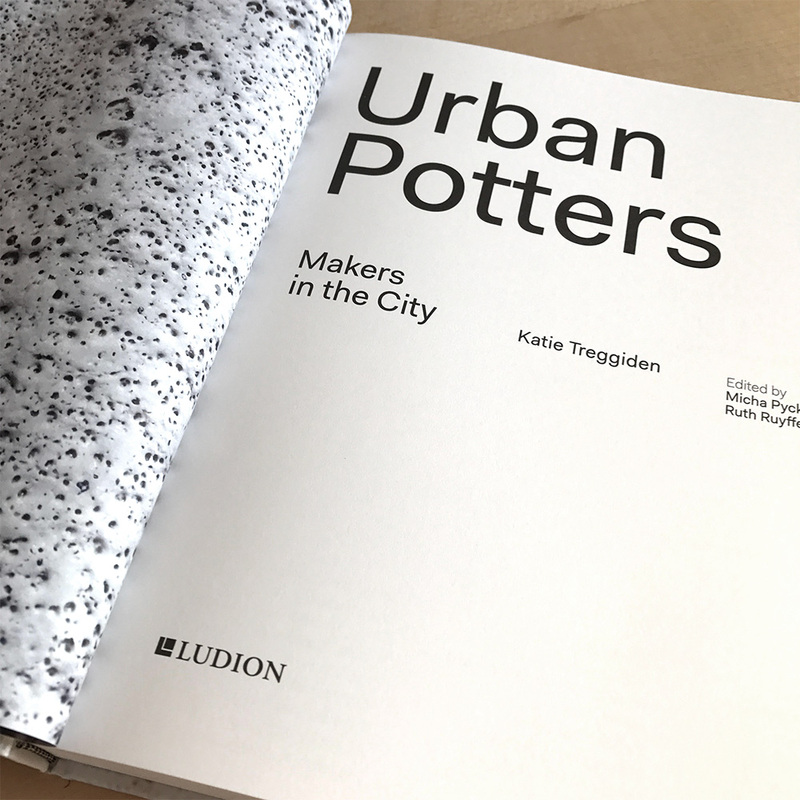 My third book, Urban Potters: Makers in the City was published by Ludion and distributed by Abrams in the United States and by Thames & Hudson in the UK and Europe in September 2017. What follows is the introduction, as submitted to the publishers. The archetypical studio potter is distinctly rural – Bernard Leach’s defining tome, A Potter’s Book, depicted the ‘father of British studio pottery’ throwing on a wheel in his countryside workshop and forever imprinted an image in our minds. The metropolitan focus of this book then, featuring 28 studio potters working in London, Tokyo, Copenhagen, New York, Sydney and São Paulo, might come as a surprise. And yet both the contemporary ceramics revival, and indeed the birth and growth of ceramics, are in fact inextricably tied to urbanisation. Early man discovered the power of fire to harden earth into a durable material as long as 25,000 years ago – probably while placing clay figures into fires as part of ritual practices or lining hearths with clay to keep them watertight – but it wasn’t until our nomadic ancestors started to settle into towns and villages 13,000 years later that ceramics started to be used as functional vessels. A complete linear history of ceramics is almost impossible to write, so convoluted is the story of discovery, rediscovery, invention and reinvention of kilns, glazes, recipes, wheels and myriad techniques at different times, by different people in different places. Suffice to say that the hunter-gatherers of Jōmon-period Japan made the earliest examples of functional pottery over 12,000 years ago, and ceramic vessels – at first rounded for putting into fires and onto earthen floors and eventually flat bottomed with the advent of furniture – were used by the first settlers along the Middle Nile Valley and other early societies such as the European Beaker People, Predynastic Egyptians and Native American Indians. The earliest kilns date from the Hassuna period (6,000BC) in Mesopotamia, and the advent of the kick wheel some 5,000 years ago redefined pottery from a part-time seasonal activity largely carried out by women to skilled and therefore predominantly male labour. New technology sped up production: records from the third Ur dynasty (23rd and 22nd centuries BC) show pottery workshops employing up to 10 people outside agricultural seasons – and pottery remained a small-scale urban activity for the best part of 4,000 years – at the beginning of the 18th century, most workshops in Stoke-on-Trent employed men in similar numbers. The Industrial Revolution transformed ceramics and divided production in two – the large scale mass-manufacture of ceramic ware in response to the demands of population growth, the new popularity of tea, and the expansion of the British Empire; and the small-scale studio pottery that is the focus of this book, defined for our purposes as functional ware made by a single person. And so while the well-documented rise of industrial pottery was taking place in Stoke-on-Trent, studio pottery was quietly asserting itself in opposition. Denmark’s mid-century studio pottery movement similarly developed in parallel to Royal Copenhagen’s factory-made porcelain. Born in Hong Kong into a wealthy family, educated in London and Japan and influenced by the Arts and Crafts Movement, Bernard Leach (1887–1979) championed an anti-industrial approach to ceramics that influences makers all over the world to this day. ‘Factories have practically driven folk-art out of England,’ he wrote in A Potter’s Book. ‘The artist-craftsman, since the day of William Morris, has been the chief means of defence against the materialism of industry and its insensibility to beauty.’ Conceding that ‘perfection’ was more than possible at the hands of machines, Leach maintained that there was a ‘higher, more personal, order of beauty,’ only achievable when craftsmen made pots by hand. Philosopher Yanagi Sōetsu (1889–1961) pioneered a related movement in Japan – the Mingei or folk art movement, defined by hand-crafted objects made by ordinary people – having been influenced by a visit to Korea, early pots used by common people in the Edo and Meiji periods in Japan, and the Arts and Crafts ideals Leach espoused when the two met at the turn of the 20th century. Meanwhile American, Australian and Brazilian potters adopted approaches from Europe and Japan, and combined them with their own cultures and experiences to create new forms of expression. Or, as Tanya Harrod puts it, ‘Making technically imperfect pots was an anti-modern response to new processes and materials, to what DH Lawrence called “the tragedy of ugliness” that appeared to characterise the industrialised world.’ In contrast, A Potter’s Book offered a reassuring image of a potter happily apart from contemporary society, and it’s no coincidence that Leach chose the Cornish village of St Ives to establish his pottery. Editor of Crafts magazine Grant Gibson cites more expansive reasons for the current resurgence of craft, including increasingly risk-adverse manufacturers driving new designers to find their own routes to market, a recession-driven ‘make do and mend’ culture and conversely the rise of ‘an uber-rich class’ in cities such as London providing a market for expensive one-off pieces, together with the ‘intellectual boost’ provided by publications such as The Craftsman by Richard Sennet, Matthew Crawford’s The Case for Working With Your Hands, and The Hare With The Amber Eyes by Edmund de Waal, alongside exhibitions such as The Power of Making at London’s Victoria and Albert Museum (V&A) in 2011. But not all crafts were created equal and, while all those things may all be true, the biggest pressure on creative people working in cities is space, and pottery is a particularly space-hungry pursuit. Be that as it may, the proximity to clients, culture and collaboration makes it worth the expense for many. It takes a special type of person with a great deal of humility and patience to deal with the unique challenges of working with clay. At every stage, there are a multitude of things that can go wrong – often remaining undetected until a pot explodes in the kiln, taking everything else with it. As Benedict Fludd says, ‘failure with clay is more complete and more spectacular than with other forms of art.’ Perhaps it just takes a very special type of person to work with clay in the city – urban potters might just have to add grit and determination to their humility and patience. And that patience may be starting to pay off. Tanya Harrod argues that fired, glazed clay, long neglected by art critics and historians, is finally starting to get the recognition it deserves: ‘In this brave new world, Grayson Perry’s 2003 Turner Prize, bestowed upon a room full of pots, signifies a change of heart, an abandonment of the fustian hierarchies that have marginalised ceramics.’ Although she does point out, quite rightly, that this attention all-to-often seems to be focused on male artists, rather then the usually female craftspeople who make their work, or indeed studio potters. The book comprises six chapters – London, Tokyo, Copenhagen, New York, Sydney and São Paulo – cities chosen for their vibrant ceramics scenes. For each one, I have written an introductory essay telling just one of the many stories of pottery in that city and then profiled some of the most exciting contemporary studio potters working in each city today. My hope in doing so is to tell a more inclusive story of clay, recognising the diversity of its craftsmen – and women. 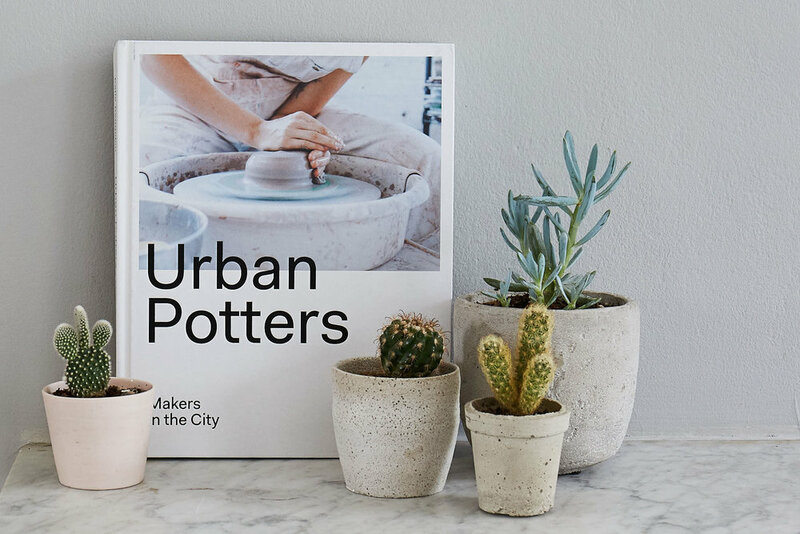 Urban Potters is available to purchase from Amazon and good independent bookshops worldwide.